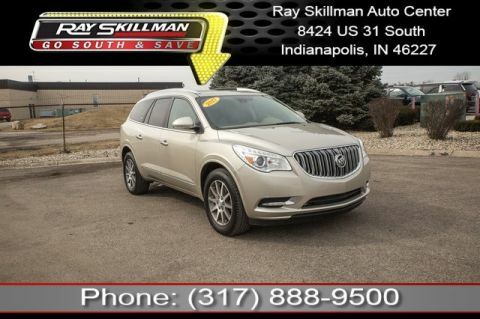 Ray Skillman Certified, Excellent Condition, Non-Smoker Vehicle! 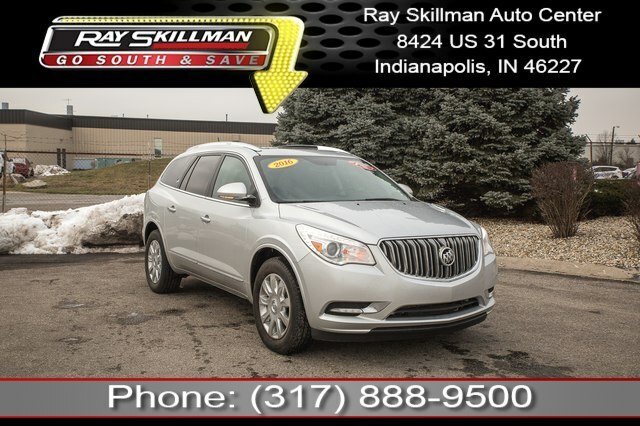 This amazing 2016 Buick Enclave Leather Group comes fully equipped with tremendous features such as: Leather Group. USB Adapter, WiFi Hotspot, SiriusXM Satellite Radio, Navigation GPS NAV System, Power Moonroof / Sunroof, Rearvision / Backup Camera, Heated Leather Seats, Third Row Seating, Power Liftgate, and More! Auto Check One Owner! Reduced From $32,988! Odometer is 18561 miles below market average! MOONROOF, POWER tilt-sliding with additional skylight fixed glass aft of the sliding glass and sunshade, AUDIO SYSTEM, COLOR TOUCH NAVIGATION RADIO WITH INTELLILINK AM/FM/SiriusXM radio with CD player, 6.5' diagonal touchscreen display, includes Advanced Bose 10-speaker system, USB port, auxiliary input jack and rear audio controls with 2 headphone jacks (headphones not included). WHEELS, 19' (48.3 CM) CHROME-CLAD CAST ALUMINUM, TRAILERING PACKAGE 4500 lbs. includes (V08) heavy-duty engine cooling system, (VR2) trailer hitch, TRANSMISSION, 6- SPEED AUTOMATIC, ELECTRONICALLY CONTROLLED WITH OVERDRIVE (STD), ENGINE, 3.6L VARIABLE VALVE TIMING V6 WITH SIDI (SPARK IGNITION DIRECT INJECTION), DOHC (288 hp [214.7 kW] @ 6300 rpm, 270 lb-ft of torque [364.5 N-m] @ 3400 rpm) (STD).